Sooji Seo joined Dell in 2007 as legal counsel for Dell’s Australia and New Zealand business. During her tenure at Dell, Sooji has held various leadership roles in privacy, regulatory compliance and strategic legal advisory support. Sooji currently serves as Vice President of Ethics and Compliance, and Chief Privacy Officer, which provides a broad range of leadership involving direct support and execution for the design, development, coordination, implementation and ongoing management of regulatory compliance and Dell’s global privacy program across Dell's global enterprise. This position leads a global team of compliance and privacy attorneys as well as certified privacy compliance professionals who are responsible to build, implement and manage a best-in-class and standardized global privacy program, in a highly regulated global environment. Prior to joining Dell, Sooji was General Counsel for Hunter Douglas Limited and Chubb Australasia. Sooji has over 22 years of legal advisory, compliance risk management and risk governance, regulatory enforcement and commercial litigation experience. Sooji is also a regular speaker at compliance seminars and conferences in the United States, Europe and the Asia Pacific regions. Sooji received her Bachelor of Laws (Honors) from the University of Technology, Sydney and a Bachelor of Computing Science and Mathematics from the University of New South Wales. 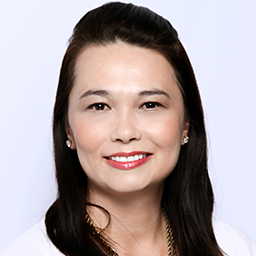 She is a member of the Australian and United Kingdom Bar Association, the Singapore Corporate Counsel Association and the American Association of Corporate Counsel.